25-09-18 Lottie is a Cavalier cross Collie who has been returned to us after 18 months in a home because of her nervous issues. Lottie has a Grade 5 heart murmur but is not on medication at the moment but it does need to be monitored. She is a nervous girl who is finding life in kennels very stressful. 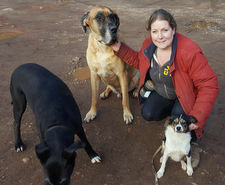 She will need an experienced home with people who have had scared dogs before and have a calm, quiet home without any children or regularly visiting children. Lottie definitely needs another well behaved dog in her new home to lend her some courage. Lottie can walk on a lead but does have issues when outside in the big, scary world. If you think you can help her please contact us and we can talk you through her problems and worries and we can discuss things further. Poor Lottie is very confused and is in need of TLC. Lottie has been back in foster with me about six weeks. I was lucky enough to foster her when she originally came in to the rescue two years ago. Back then Lottie had spent the first five months of her life shut in a dark shed with no human or dog interactions other than her brother. She missed all her vital socialisation as a puppy and arrived a cowering, terrified dog. Lottie has undergone a total transformation, she is now perfect off lead and great on the lead, jumps in the van and loves her walks. Her recall is sublimely good and she knows basic commands like sit and wait. Sadly her terrible start in life remains deep within her soul. Lottie can not cope with any pressure, she collapses on the floor, belly up with a nervous tail wiggle. 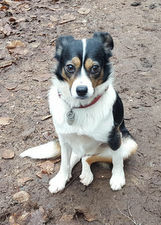 Lottie is a teacup collie, less than 10kg and the size of a cavalier yet all her mannerisms are totally collie like. The vast majority of the time she walks right on my heal, hoping no one will notice her. The first week she was back with me she’d bolt into a bush if a strange person or dog approached and hide until they passed. Now she knows I’ll keep her safe she just stays close to me. The only time this routine varies is when she relaxes and has a mad five minutes of play with her dog friends. If she’s feeling brave her collie traits magnify and she will try and round up joggers or cyclists, this is when her perfect recall comes in. A firm “No Lottie” and she’s on her back wagging her tail at my feet. She loves her toys and in the safety of the house her playful puppy nature shines. It breaks my heart that precious Lottie has gone through such a traumatic and unsettled life, she’s not even three yet. I need to find the most perfect home for this tiny dog. 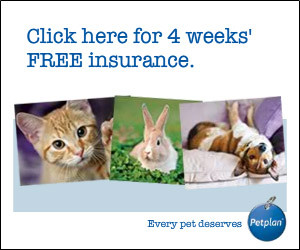 Her owners need to walk in quiet areas and stay very calm and relaxed so she can feed off them to find her bravery. They also need to love cuddles as Lottie’s cavalier side means she’ll sit next to you, licking your ears as she accept love and attention as much as you can give her. Are you the perfect home for sweet scared Lottie? Poor Lottie is still waiting. 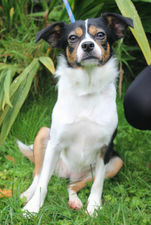 This tiny collie x cavalier has two emotions- utterly devoted, blind love and / or terrified cowering in a heap. She missed all her vital socialisation and learning as a puppy, being rescued at five months old having lived her whole life in a dark windowless shed. Her scars run very deep and poor Lottie is almost devoid of her own individual personality. You have to see it to believe it, but Lottie just has very little clue how to be a dog. One small exception, when no ones looking she will raid the toy box and throw a toy up and catch it. So how does Lottie cope? I hear you ask. Well she takes on the personality of the dogs she is with. As I’m a professional dog walker, she gets to meet many, many dogs. Today she had playful dogs and hey presto I got to film playful Lottie. If I walk her with old dogs I have plodding along old Lottie (she’s not yet 2). If I have a dog who likes to bark at joggers- yep you guessed it- Lottie will bark at joggers. 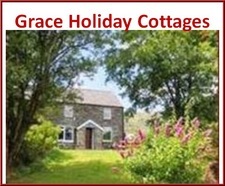 I think I may be searching for a home as rare as hens teeth. 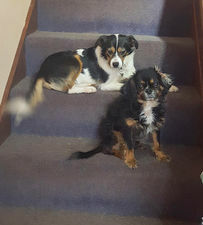 Someone with wonderful confident dog/s who will understand how messed up little Lottie’s head is, who will continue her voice training (which has now stopped all the the negative behaviour she arrived with) but most of all someone who will protect Lottie from following or copying a dog with unwanted behaviour. This next home really does have to be Lottie’s last home as I don’t think her heart will cope losing a family again. As for her physical heart, as you can see from the video without medication it’s not holding her back yet. Although LOTTIE (WAS FIZZY ) is by donation rather than the full adoption fee, we ask for a minimum donation of £100 to help cover the costs that have been incurred. All our dogs are micro-chipped, have had at least their first inoculation and are spayed/neutered unless there is a medical reason for not doing so. If your application is successful you will be home checked and you, all members of your family and any dog(s) who will be living with the dog MUST come to meet the dog you want to adopt. 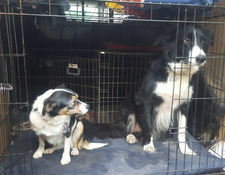 You must have a safe means of transporting the dog home in a crate or if this is not possible please discuss with Many Tears or the Fosterer when your application is being processed.